We interrupt this Arizona weekend recap to bring you breaking news of an exciting dinner we just finished. 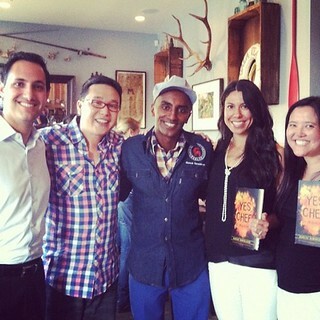 Chef Marcus Samuelsson of Red Rooster cooked at Son of a Gun tonight. He is touring right now to promote his new book Yes, Chef: A Memoir. 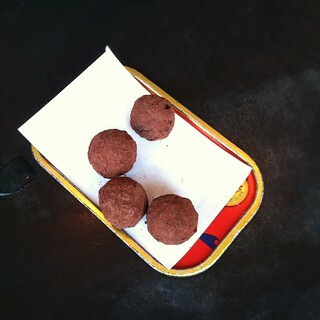 Because this is breaking news, I present to you some beautiful...iPhone photos! We're going old-skool with camera pics tonight! Tonight's meal was served family-style and cost $85 per person. 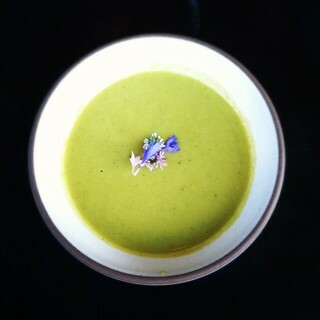 Helga's pea soup, mint, ginger. 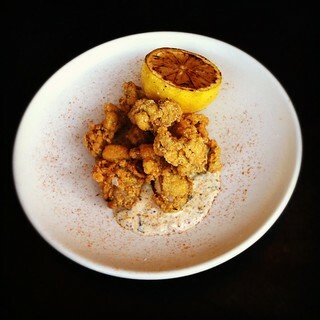 Fried Misty Point oysters, Addis remoulade. 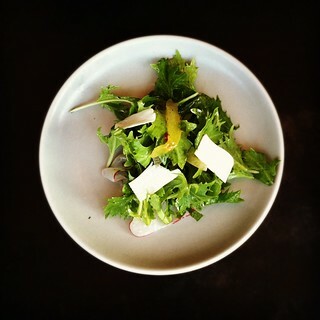 Tokyo salad, mizuna, yuzu-shishito vinaigrette. 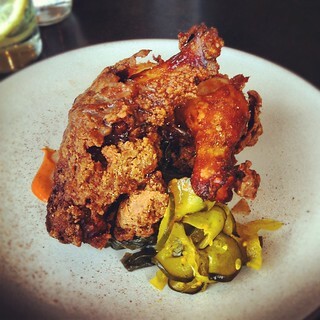 Fried Yard Bird, collard greens, rooster sauce, pickles. AWESOME! 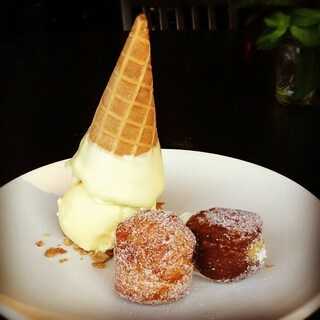 Sweet potato doughnuts, fennel ice cream. 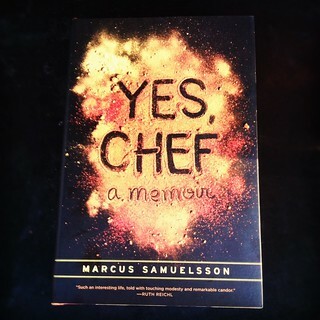 Chef Marcus Samuelsson's autographed book came with the meal. Happy fans. 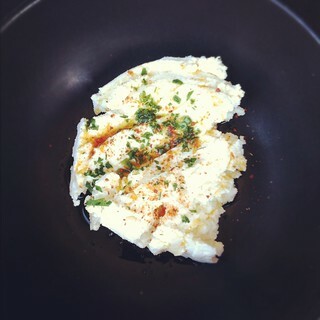 Chefarazzi, cha cha cha! Huge thank you to my brother for getting us this reservation. So sad that he couldn't come because he had surgery on his Achilles tendon today. (Don't worry; the surgery went well!) Thank you to the Oros for joining us! I hope your brother has a speedy recovery! Well, I own it now. I should probably read it. LOL. wow! 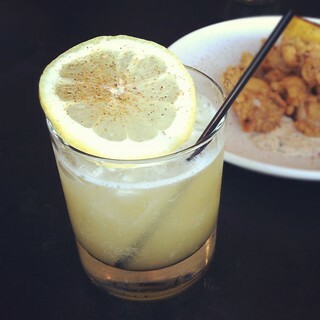 even with iphone photos your blog makes me drool! Most of your iPhone photos look better than my regular camera photos. 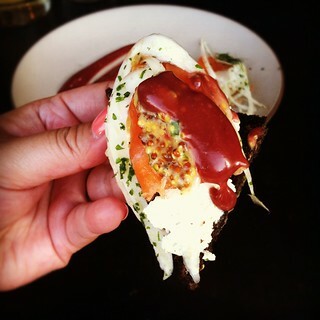 It's really all about the instagram! 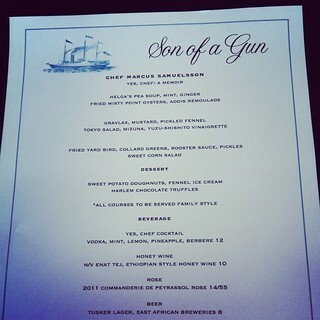 i don't know who this is, but i sure do love me some son of a gun. 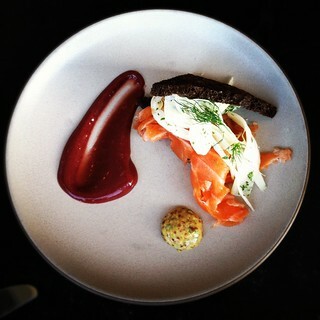 and as always, your iPhone pics kick all my pics' asses. 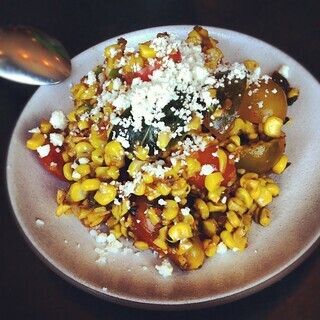 That sweet corn salad and sweet potato doughnuts have me drooling. yum! Hope your brother has a speedy recovery!